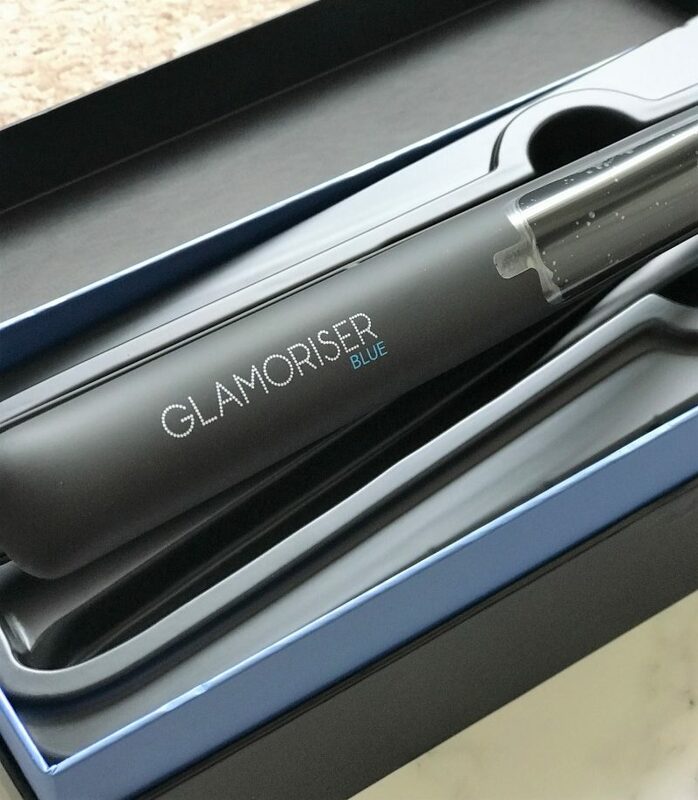 So it’s been a while since I’ve reviewed a hair styling device for you all, and I feel this particular one is a brilliant one for me to bounce back with! Yes, I’m lucky that I have naturally straight hair. However, I’m unlucky that it’s not taken well to years of bleach, making it frizzy, dry, unruly and looking ‘broken’. Eurgh. 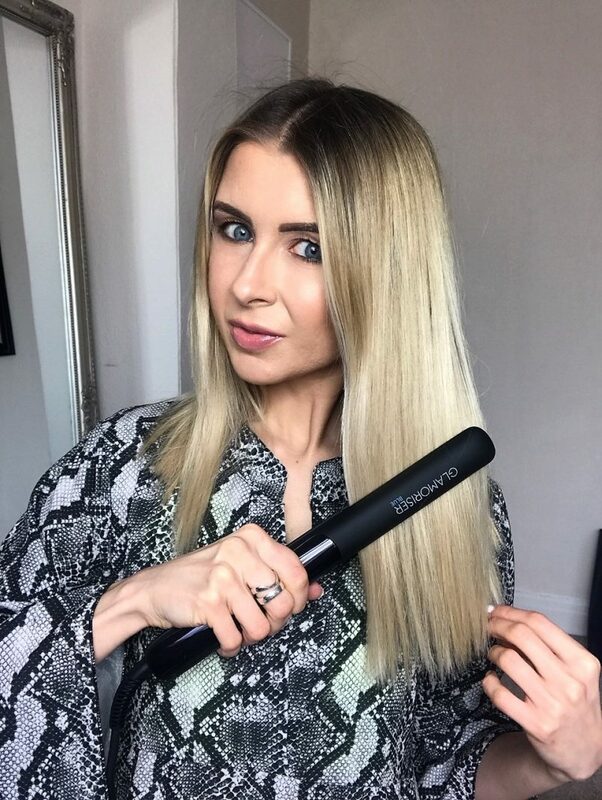 I tend to blow dry my hair upside down with a hairdryer without the nozzle, blasting it dry as quick as it can to get some volume into it. Although the actually hairs lie straight, I get frazzled looking strands, resembling a head of parched hair. I’m not growing a natural balayage to get my hair healthier, and in the meantime, I’m also using this fabulous new product. 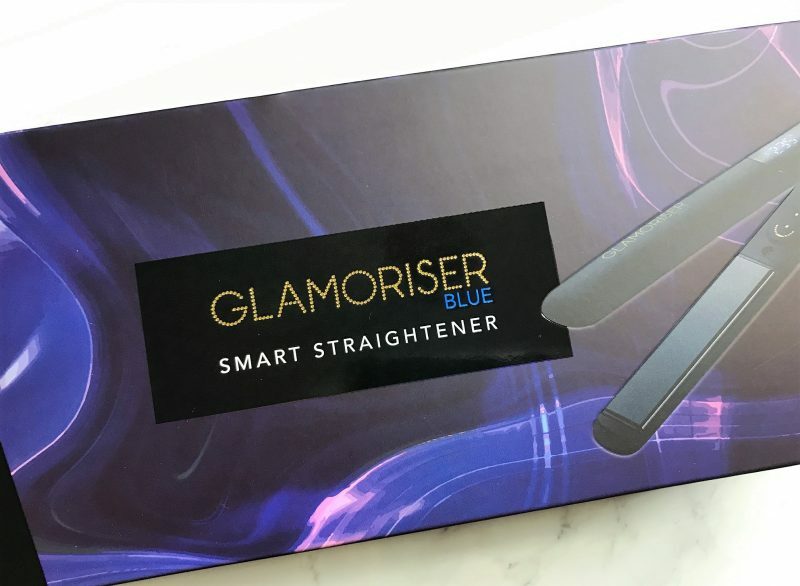 The Glamoriser Bluetooth Smart Straightener is the worlds first Bluetooth straightener, designed to make it easy to style your hair the way you want. 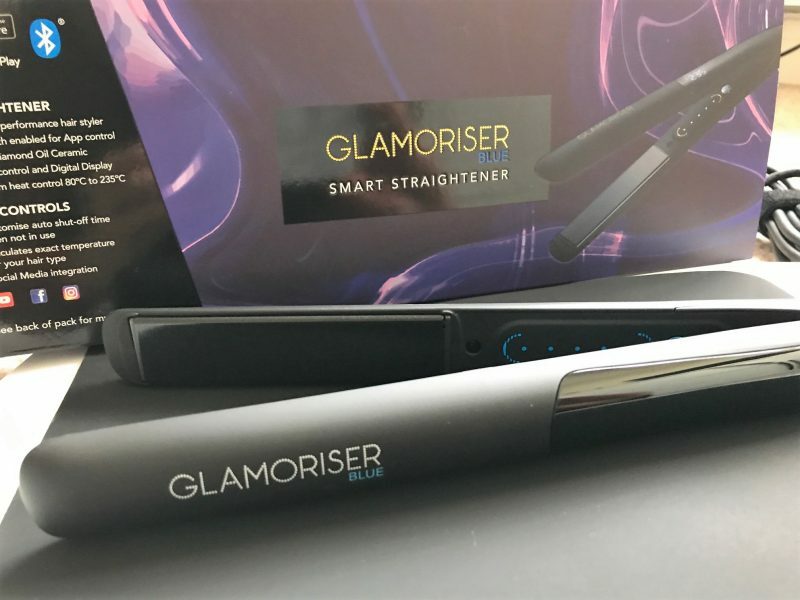 It comes with floating plates that glide easily through your hair, so you can style it faster, achieving a high shine salon inspired finish you’ll be proud to wear. 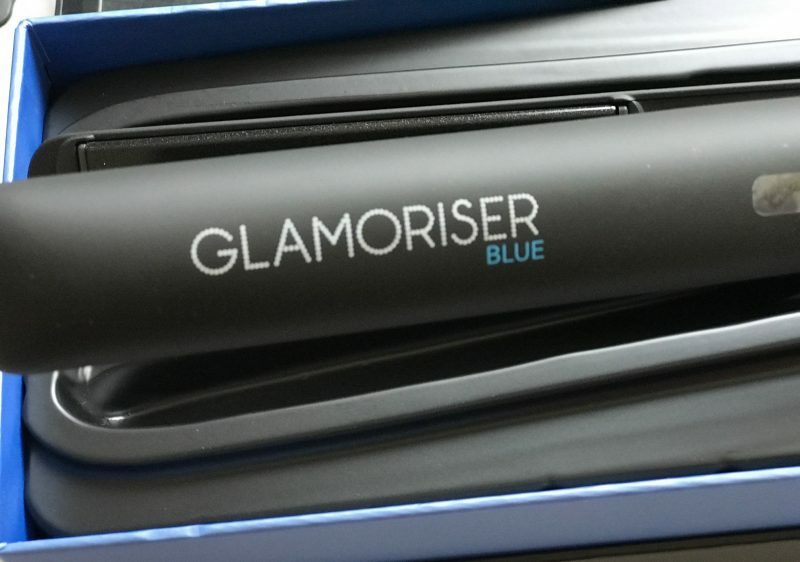 However, it’s a straightener with a difference, and I was eager to check out how this hair tool was meant to work with my phone! 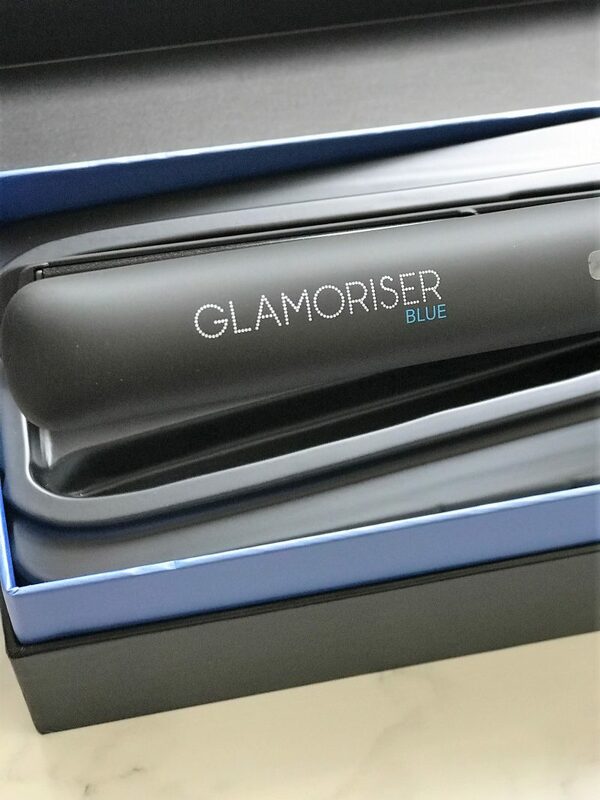 To get the best out of the straightener, you simply download the Glamoriser app to take advantage of the personalised heat settings you can access. This way, you control how which heat setting will work the best to style your hair. From your phone, you can also set the straightener to switch off automatically between 5 to 20 minutes after you have finished with them. Now that is what I can call the ultimate straightener anxiety solver! All those times I can’t rest throughout the day thinking my straighteners were left switched on, sizzling through my carpet. 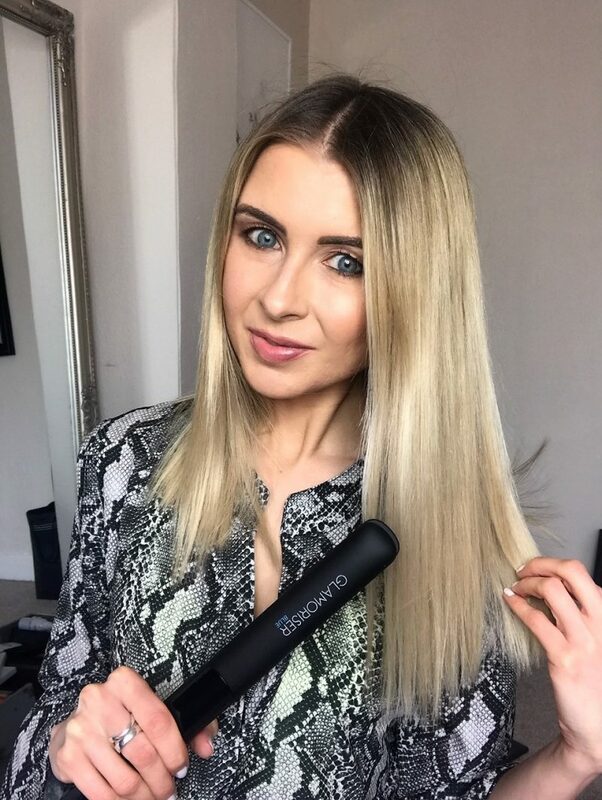 If, like me, you are worried about heat damage making your hair more dryer and frizzier, then you’re going to love the control you have on the temperature. 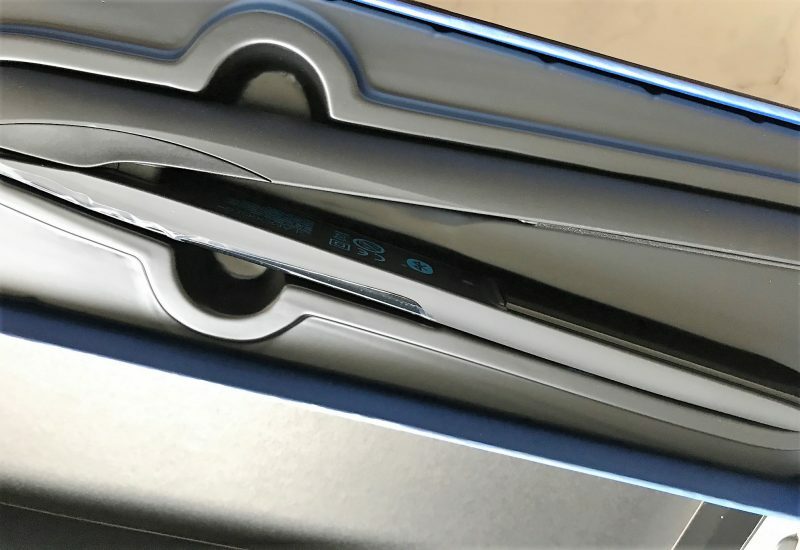 You can simply adjust the temperature of the straightener, choosing a temperature between 80 – 235°C. Whatever suits! I use a low heat for subtle styling and for creating gentle waves, or a higher heat for straighter styles. 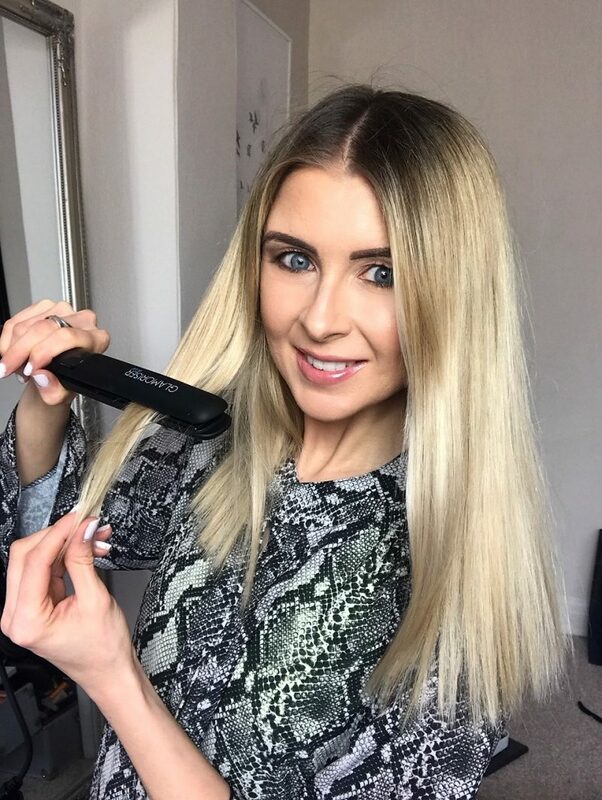 The higher heat I use tends to sit around 200, and I just glide through my locks quickly, in which it leaves me with super straight silky hair! When you do find a temperature you like, you can keep it locked in. No more faffing and fiddling to find the ideal heat. I lock mine on 200, it’s just so much easier that way. I find this just a dream to use, as I can simply control these by the app, via bluetooth! 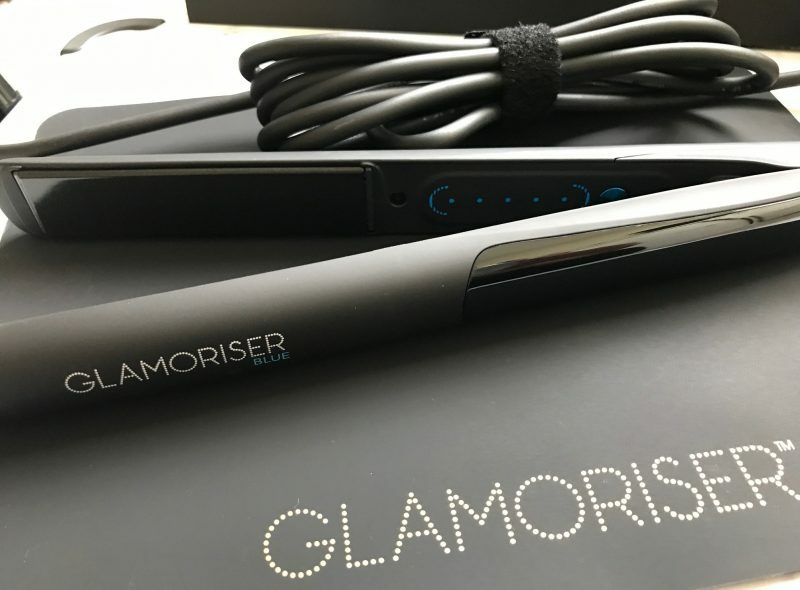 It’s like having a personalised use for a fantastic pair of straighteners I can control via a handy little app. 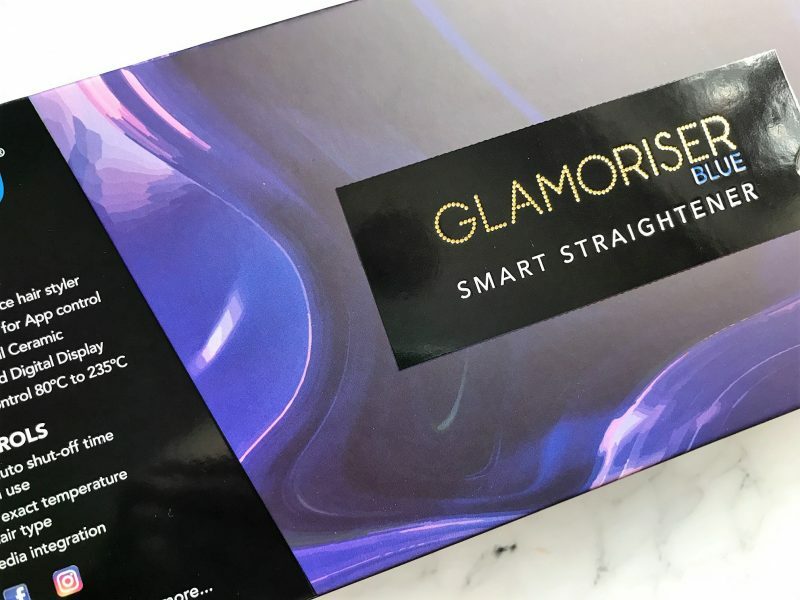 Honestly, they take around 15 seconds to reach the heat I’ve stated for them, and they work perfectly on my hair, smoothing through the frizz and making it look all healthy and non-frazzled. These cost around £129.99 at full price, although are currently at £79.99 on the website at the moment. You can read more about them and shop them online here. It’s not often I compare products on here to a competitor; I always like to keep it professional and not mention other brands etc. 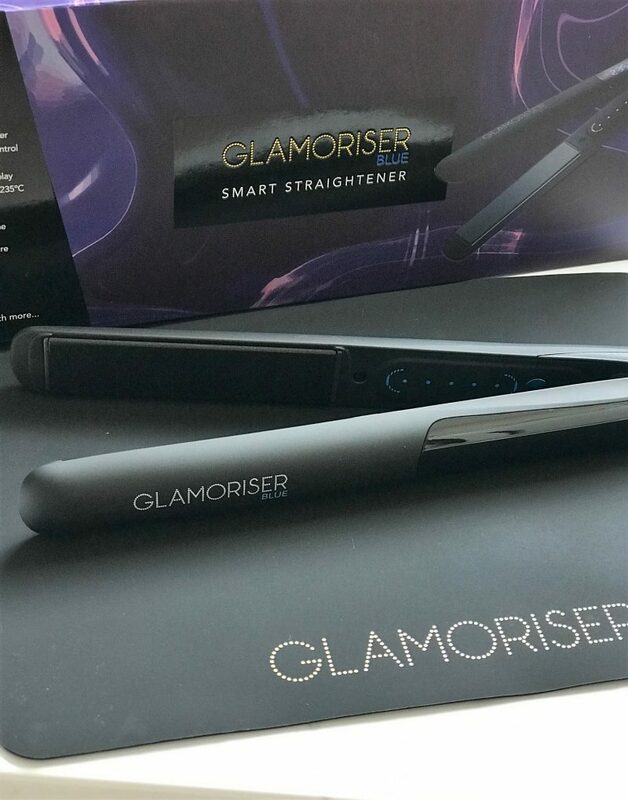 However, I feel I can’t help but say these work to the same incredible quality as GHD – like, there is no different! 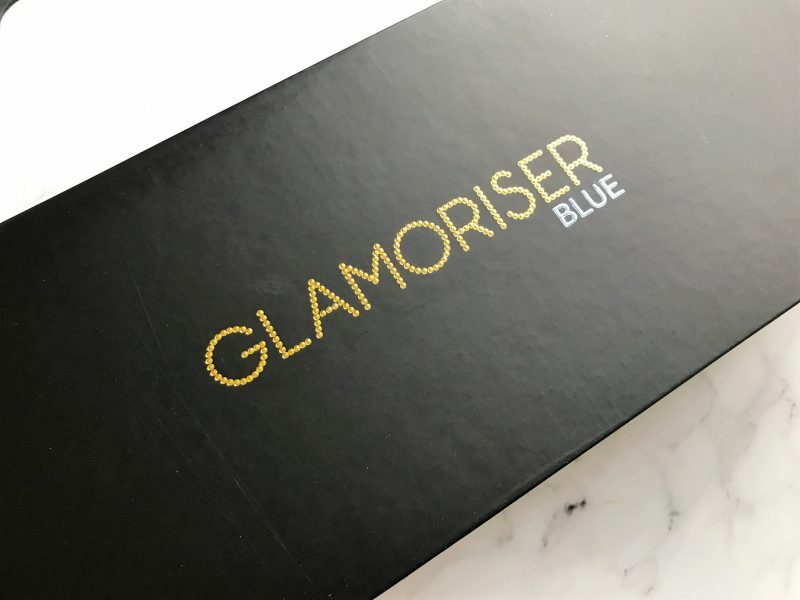 I could even say this pair work better than my GHD’s, I mean I have owned a pair for around 6 years, but you know… if I notice these work an absolute dream, I have to say it.